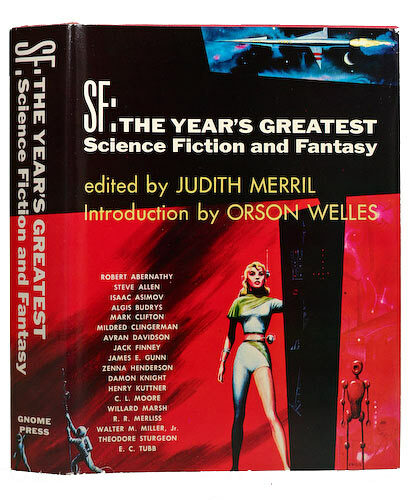 The Judith Merril-edited SF’57: The Year’s Greatest Science Fiction and Fantasy arrived today. Looks good as described on eBay. Mighty fine buy for the price, I think. 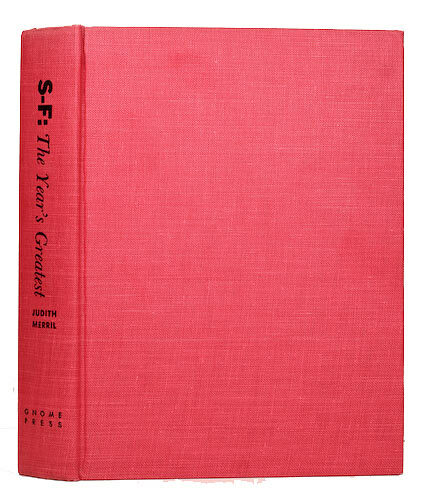 We’ll have a look at it soon as it came with no jacket protector and I need to photograph it smartly and get it bundled up safely. I’m looking forward to reading it actually (if I can ever get past Judgment Night…) as it contains another short story from Zenna Henderson and also Ms Merril’s illuminating prefaces to each story. 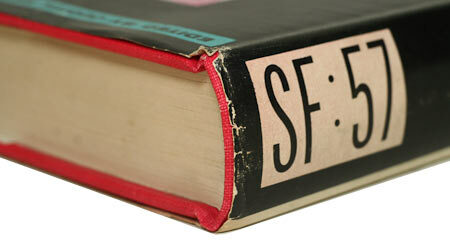 Check out the Review of SF:’58 to see what I mean. The Macbook is getting closer. I’ve been waiting a long time to have my very own computer again – a whole year!! 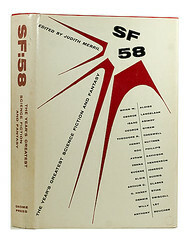 Also, yesterday I picked up editor Judith Merril’s SF’57 off eBay. 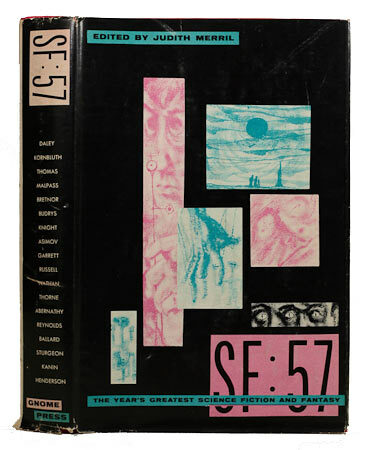 It’s a copy that’s been kicking around there for a while and the price has dropped during that time to about half what it was originally listed at. I got it for $12. 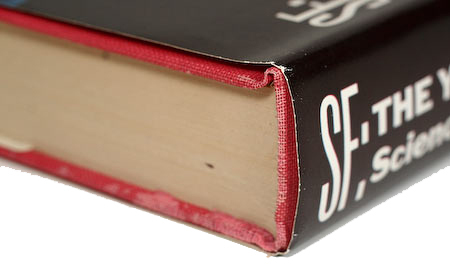 It looks to be in Good condition, and at that price, a pretty good deal I thought. 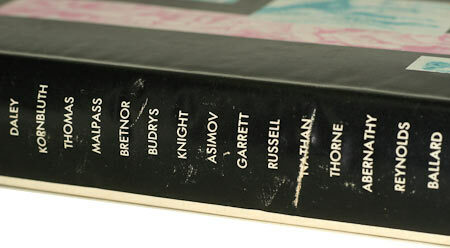 A copy of Travelers of Space with a Fine jacket together with a jacketless Five Science Fiction Novels (both edited by Martin Greenberg) went for $103 on eBay today. Wow. 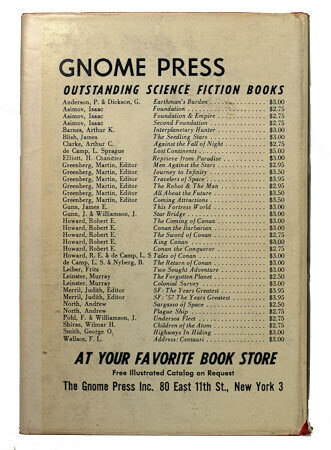 I have both books, Five Science Fiction Novels in better condition with a jacket (see the Close Up) and my copy of Travelers of Space is also in Fine condition (it hasn’t made it to the blog yet but it’s in similar condition to my copy of SF’56). 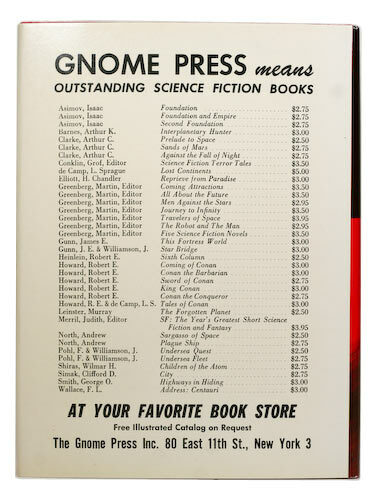 This puts me in good heart as to the value of the copies I have. 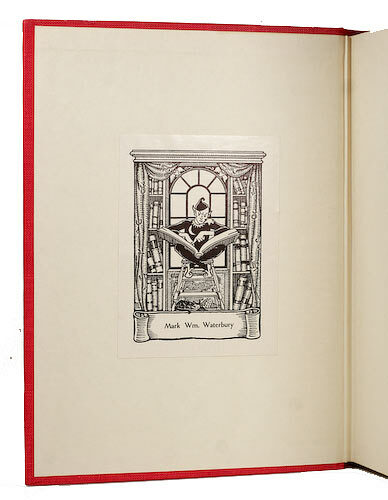 Especially as the jacket of Travelers was noted in the auction to be ‘married to the book,’ whatever that means. Very happy!! The two I’d been expecting arrived today. 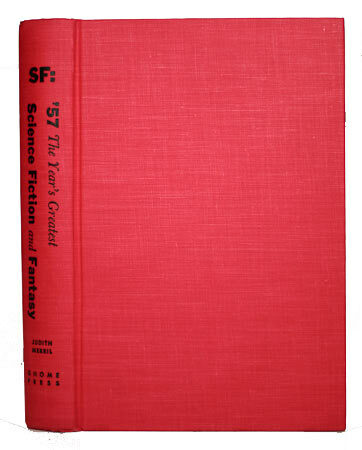 The Castle of Iron and SF: The Year’s Greatest Science Fiction and Fantasy (effectively SF ’56). The Castle of Iron was as expected, actually better. 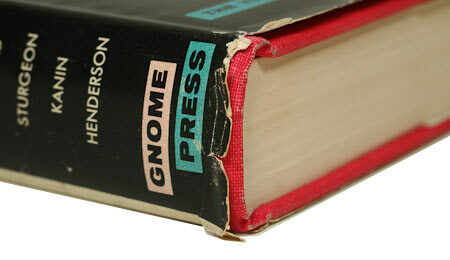 The book is in NF condition excepting the severe sunning on the spine. Does anyone know what effect this condition has on grading?? So I was satisfied there. The other left me speechless. 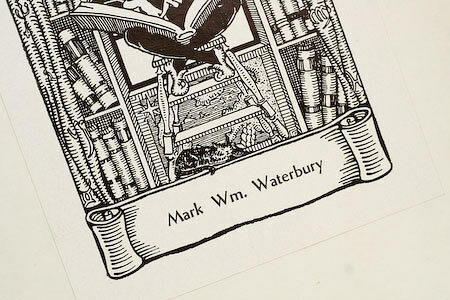 As I was unwrapping it, I could see it was looked great, but once I actually had it fully unwrapped it is superb. 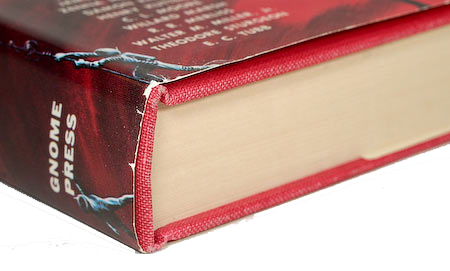 The dust jacket is almost flawless and aside from just one small blemish and a book plate the book itself is awesome. 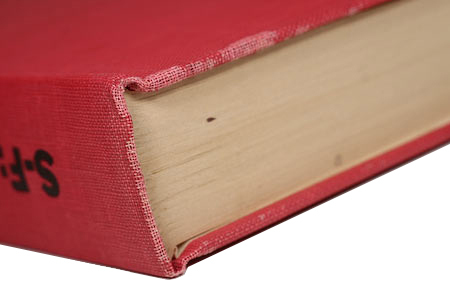 I’ll do a Close Up on it very soon.